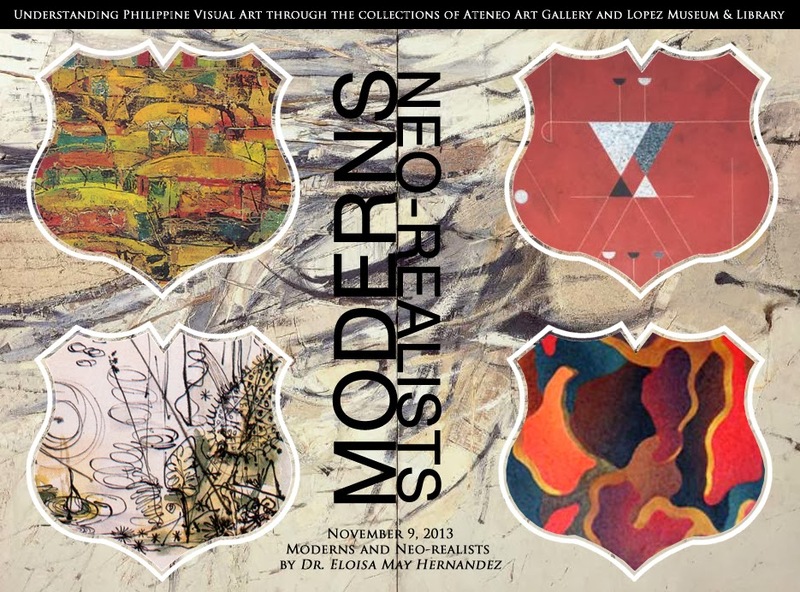 Lecture on Moderns and Neo-Realists (9 Nov) by Dr. Eloisa Hernandez. To complete the lecture series on Understanding Philippine Visual Art: Moderns and Neo-Realists on 9 November by Dr. Eloisa Hernandez. Parts of the series on ‘Understanding Philippine Visual Art Through the collections of Ateneo Art Gallery and Lopez Museum and Library’ 7 Sept – 9 Nov, Saturdays, 9am-12nn. Prof. Eloisa May P. Hernandez is an Associate Professor at the Department of Art Studies, University of the Philippines Diliman and at the Fine Arts Program of Ateneo de Manila University. She received her Ph.D. in Philippine Studies with her dissertation on “The Political Economy of Digital Cinema in the Philippines.” In 2004, she authored the book “Homebound: Women Visual Artists in Nineteenth century Philippines” published by the UP Press and the National Commission for the Culture and the Arts. Php 900/session. Special rate offered to Lopez Museum members and Ateneo de Manila faculty and students. Previous Previous post: Happy Book Lovers Day! Be a Lopez Museum & Library Member Today. Lopez Museum & Library Lecture on Moderns and Neo-Realists (9 Nov) by Dr. Eloisa Hernandez.